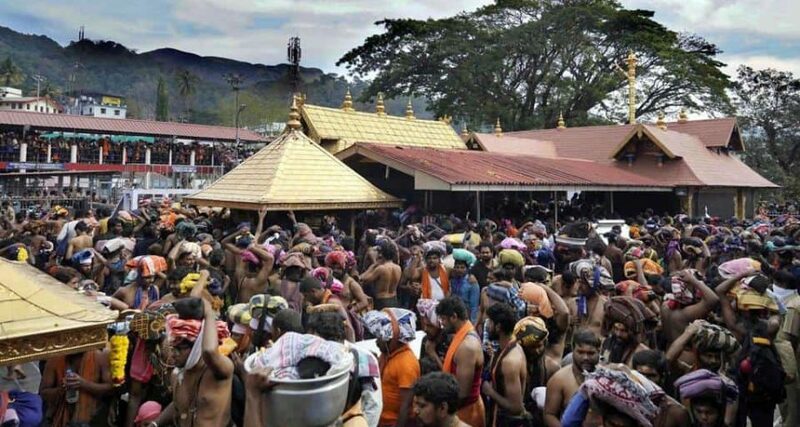 The Kerala police have sought a ban on the assembly of more than four people at the Sabarimala Temple as the shrine in the Pathanamthitta district will be opened for five-day monthly pujas on Tuesday, according to government officials familiar with the matter. The Sabarimala Karma Samiti, the apex body, has been opposing the September 28 Supreme Court verdict that allowed women of all ages to worship at the shrine. “We will continue our peaceful protest [against the entry of women of all age groups] till we get justice,” said Samiti leader, KP Sasikala. She added the government continued to provoke devotees.